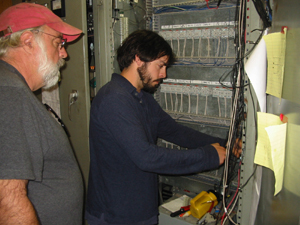 Ken and Marshall Smith renovating the switchgear/controls at Sebec Lake Hydroelectric. The antiquated switchgear was replaced with modern vacuum contactors. The 1980s era controls were completely replaced with an Allen Bradley SLC-500 PLC based system with pond level control. The new system can be accessed and contolled from anywhere in the world via the internet. Ken Smith synchronizing the Pepperell No.2, T/G set, for the first time. SAE designed the complete electrical package including excitation system, high voltage wiring, low voltage wiring, logic control and hydraulic power pack. 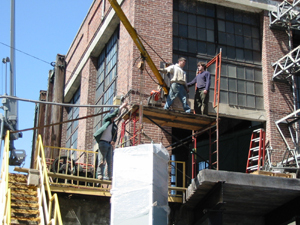 Mr. Smith is a licensed professional engineer in Massachusetts. Ken Smith inspecting the ongoing rehabilitation of Woronoco Hydro's No.2 Unit. SAE supervised the generator rebuild. SAE designed a new solid state excitation system, new control system and located a used high voltage breaker. SAE specified the design changes to the breaker, installed it and replaced all the high and low voltage wiring. Ian Smith installing the massive 500 mcm cables for the new switchgear that SAE designed for Pepperell Hydro's No. 2 T/G set. 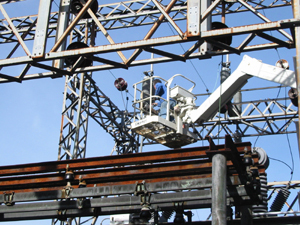 SAE personnel repairing and cleaning the 66,000 volt substation in Pepperelll, MA. SAE refurbished the 66 KV air break switch. SAE cleaned and polished all the bushings and fuse holders. 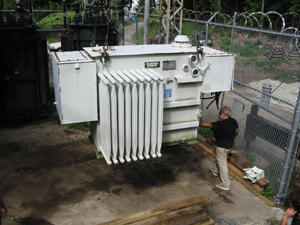 Ken Smith supervising the installation of the 1200 KVA transformer for Pepperell Hydro's No. 2 unit. SAE designed a new interconnection to allow the 2300 volt generator to connect to the 600 volt bus. SAE redesigned a 2300 volt contactor to serve as a electrically switched breaker for the unit. SAE personnel installed all the high voltage and low voltage wiring. SAE specified and installed a new solid state excitor. 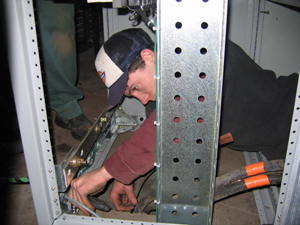 Ian Smith supervising the rigging in of the new switchgear cabinet for Pepperell Hydro's No. 2 Unit. 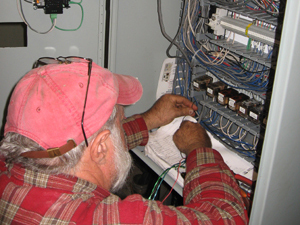 Ken Smith wiring the new, Allen Bradley, SLC 500, PLC cabinet at Sebec, Maine. 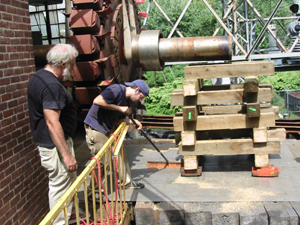 Ken Smith supervising the rigging in of the massive synchronous rotor of the Westfang generator. 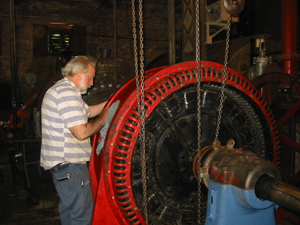 Mr Smith supervised all aspects of the reconstruction and assembly of this 800 KVA generator. He rewired the internal generator connections to convert the 4160 volt output to 2300 volts. 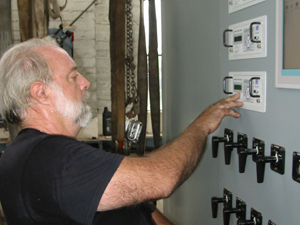 He designed and specified the complete switchgear and control package. He specified the new solid state excitation system.